The fake versions would not stand up to design, accuracy and durability standards for commercial use. 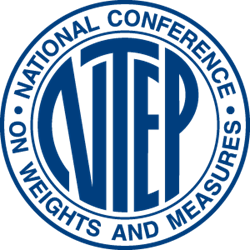 Internet shoppers should be leery of low-priced scales advertised on sites such as eBay or Amazon as “legal for trade,” or NTEP Certified according to the National Conference on Weights and Measures (NCWM). NCWM has seen a drastic increase in false or deceptive advertising of scales and scale components as “legal for trade” or “NTEP Certified.” Lately, accusations have even pointed toward counterfeit devices; cheap and inferior copies of the real thing. NTEP is the National Type Evaluation Program administered by NCWM. Most states require NTEP certification for scales used for buying and selling commodities. The certification demonstrates that the scale is designed to meet national standards of design, performance, and durability before it is introduced into the marketplace. “The complaints have definitely increased, especially with regard to internet advertising,” said Don Onwiler, NCWM Executive Director. It used to be simple misplacement of the NTEP logo, but now Onwiler says the complaints are turning toward counterfeit devices that are being imported to the U.S. and sold on the internet. “These are cheap imitations of the real thing, sort of like buying a fake Rolex for $20 on a street corner,” said Onwiler. The fake versions would not stand up to design, accuracy and durability standards for commercial use. Underwriters Laboratories reports that counterfeit imports are a very real concern. UL established an anti-counterfeiting operations department over 20 years ago, but they are seeing an expansion from low priced, low tech consumer products. Robert Crane, US Customs Program Manager for UL said, “Over the past several years we are now seeing more and more examples of higher expense, greater complexity and a myriad of product types being counterfeited, such as products in the audio/video categories and even medical and dental devices.” Crane added that when it comes to electrical products, 97% of the counterfeit items are coming from China. NCWM relies on state and local weights and measures regulatory officials and the scale industry itself to find and report problems associated with false advertising and counterfeiting. NCWM has published and distributed a brochure, “Buying a Scale on the Internet” as a guide for buyers to steer clear of potential pitfalls in selecting a scale, especially from unknown internet vendors. Guide to Purchasing Commercial Scales on the InternetA guide to help internet shoppers avoid pitfalls when purchasing a commercial scale on the internet.